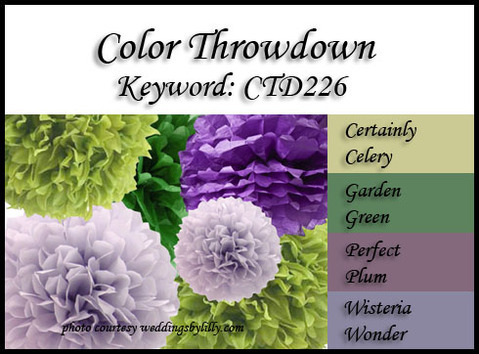 Color Throwdown #226 and a Your Next Stamp Sneak Peek! So sweet in purple. I like the way you framed it too - easy way to make the mat! Awww...this is just too adorable! Perfect image to pair up with these colors! I love her too! And your coloring is awesome! Really love the embossing on the frame! This is so sweet, Kerri! Such a pretty color combo, and I love the purple rose! I love the Purple Rose! She's is adorable! Beautiful! 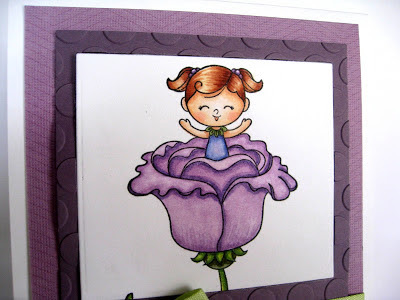 OMGosh, Rosalie is darling and your coloring on her and the flower is fantastic! Sweet card, Kerri! Awwww, this image is adorable! Love how you colored it, too! Very cute and I like all the purples. What a darling image, Kerri...your coloring is fabulous, as always, and I love the texture in the background!!! How precious, Kerri! 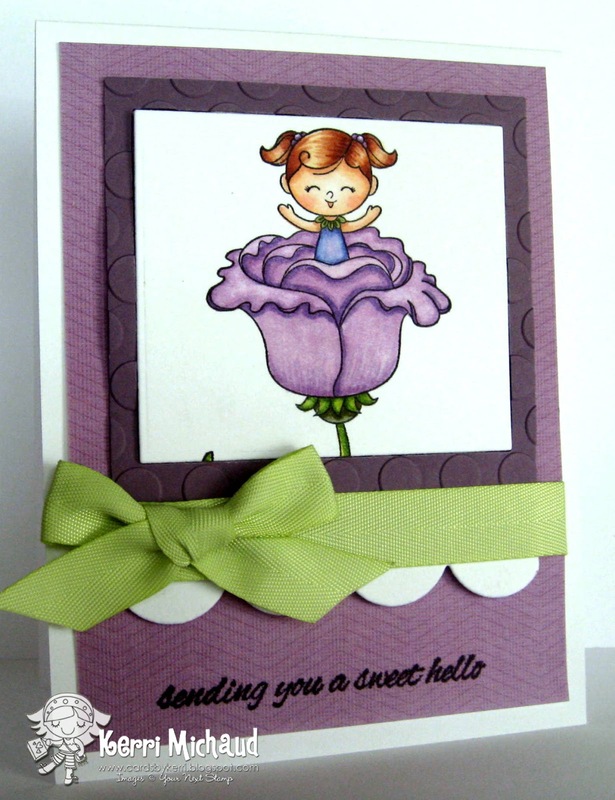 I love your little redhead and that great lavender flower! !